I’m a new graduate and my one objective over the summer is to get some sun. My goal is to take lots of photos, catch up on my reading, and accomplish both at the lakeside all summer! The weather is just warming up here in Chicago and the lake isn’t too far- I’m already unpacking my sandals and getting ready for sunshine. I’ve also done some shopping…I’ve been in desperate need of brand new beach apparel and accessories since it’s been several summers since I’ve actually had time off. Oh, the life of a graduate! I have been using my favorite sunless tanner on my legs for several weeks now- I use the Subtle Tanning Lotion from MK because the smell doesn’t annoy me and it’s never given me orange streaks, I love this stuff! As I get more sun exposure, I use SPF 30 sunblock on my body, and MK’s Day Solution SPF 25 for my face, back of my hands, and chest area. As a diehard Betsey Johnson fan, I was in love with this State Fair One Piece and had to have it! What’s great about this piece is that it comes in both a one piece or as a bikini and it has a removable strap. The suit gives full coverage without frumpiness, I adore the flirty frills and fanciful print. I was planning on hitting the beach with this on, but we’re expecting rain in Chicago throughout the weekend and I could not wait to share it with you…seriously, it’s been a LONG time since I’ve been this obsessed over a swimsuit (I think the last time I loved a suit this much was a Sesame Street one piece I wore when I was 4.) I usually am pretty darn self conscious, especially in swimsuits, but I am stocked to hit the beach in this one piece! If you’re not comfortable in a particular cut, don’t wear it! You may not be able to find the right fit at a local discount store- if you have a hard time finding bra/undies, you may encounter the same sizing issues with a swimsuit, invest in a piece that fits. Play up your assets, play down what makes you feel unsexy. This is why I’m proud to wear a one piece that does exactly that! Patterns w/ a structured top are great for curvy girls, embellishments & metallics are great for slender types. See more tips here. Find a classy coordinating cover-up that can make transition from lounging to partying a seamless step. The shop I got my suit at also offer some great cover-ups. Do you do anything to prep for swimsuit season? 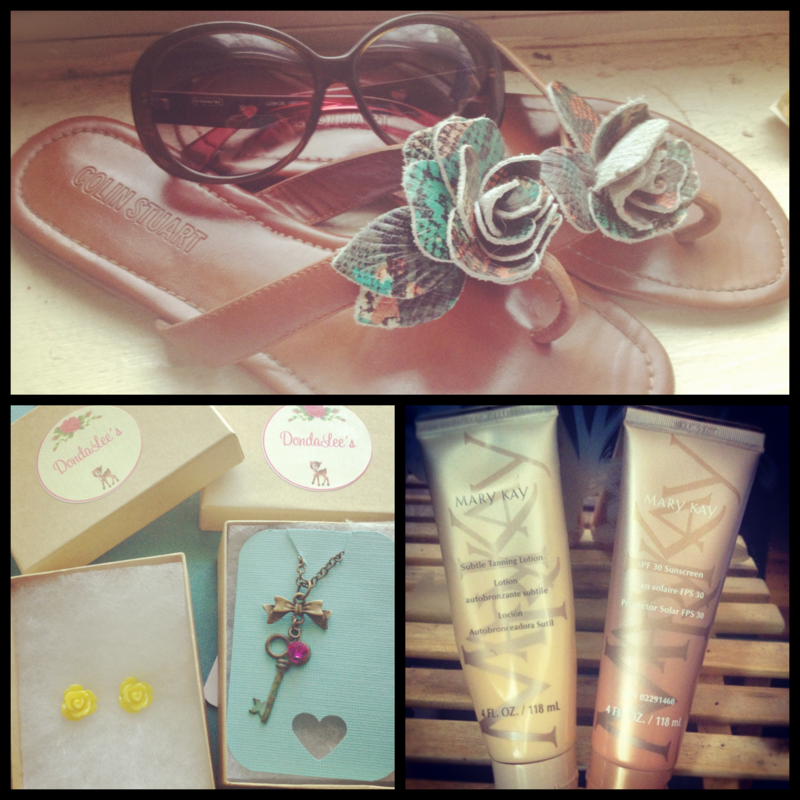 What are your fave summer accessories or swim fashion tips? I adore Betsey Johnson, she was in Alpha Xi Delta (that’s why I’d guess she uses pink roses in her stuff so often) and the more I can get my hands on, the better! Leopard, floral, stripes..she’s got it all going on. I was so psyched to find this suit! I love the bathing suit on you! It looks great and such a fun print and design! Plus the option of wearing it with or without straps add for a versatile look. 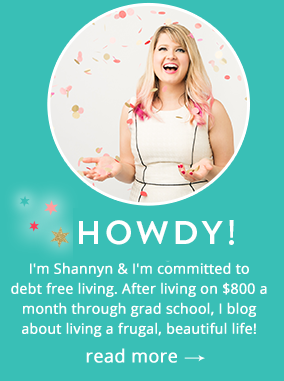 Really great post Shannyn! I *love* the suit – it’s feminine and fierce at the same time! That is quite possibly the cutest one piece I have seen this season! I love it. I know, isn’t it fabulous? I have always been in a weird position to find the right swimsuit- either one pieces are frumpy or bikinis don’t fit right and show off all the wrong stuff, I’m in heaven now that I found the perfect bathing suit! Aww, thank you! I was so nervous about being photographed in a suit for the blog, but having the right suit really helps! Hopefully the weather in Chicago will improve enough for me to wear it out! You look absolutely beautiful!!!! The swimsuit is gorgeous! I love it!! Betsey Johnson is one of my favorite designers! You seriously rock this swim suit! You are stunning!!! Seriously, I cannot say thanks enough for all of the kind comments! I’m so shy about being photographed on here…it’s something I have to get over since I love fashion and photography so much! I think reading all of gala darling and already pretty’s posts about body image have really helped! That’s an adorable swimsuit! It looks so cute! Looks gorgeous Shannyn! I can’t believe you found such an incredible suit. It’s so great when you can actually find something you can be obsessed with, rather than just the same old whatever. Hope you get to wear it a lot this summer! Love the Betsey suit! I’ve been on the market for a perfect one, and I’m leaning towards the adorable retro looks that Torrid has right now. Well composed article. I’m happy that we went from your pet. The fact that the truth, but this is how the net is that we all wander the links, and may even not at all times reach the details that’s important to people and interesting. We appreciate you this post as well as welcome to me.